Blog readers, are you ready for the 22nd Annual IHeart OC Giving Day? This is the one time a year in a 30-hour period you can give back and it’s so easy! April 27th 6am – April 28 12pm – YOU CAN GIVE WHERE YOUR HEART LIVES. Our thrift shop supports about 80% of our budget. The rest has to come from donations. And the IHeartOC Giving Day is the easiest possible way to make a donation to Assistance League of Irvine. Just click on this link to the IHeartOC website and it will automatically take you to the web page where you can make a tax-deductible donation to Assistance League of Irvine. ALL the money ALI raises supports our programs right here in Irvine. School clothing, school supplies, and eyeglasses for needy children, scholarships for single parents and high school seniors planning to attend Irvine Valley College, help for the Human Options shelter, our annual Young Masters art show, our Assisteens auxiliary that builds character and leadership skills in 7th grade to 12th grade students through volunteer activities, and our incredible thrift shop – all of these directly affect the lives of Irvine families. AND WE NEED YOUR SUPPORT TO CONTINUE ALL THESE WONDERFUL PROGRAMS. We’re not an organization that sends you mailers every month asking for donations. We don’t have a “pledge week.” But we’re asking for your donation in any amount, during the IHeartOC campaign. Thank you for supporting us! Share Irvine’s secret treasures with your holiday guests. This past month I’ve had two friends visiting me, one from Hawaii and one from New York City, I took both of them to the thrift shop. Both of them told me (I have to brag a little) that if they lived in Irvine, they’d be visiting the shop all the time! As we get into the holiday season, many of us will be hosting out-of-town guests. You’re going to show them Hollywood, Disneyland, the beach . . . and then you’ll run out of ways to entertain them. Your guests are children, and they’re bored with all the toys they brought with them. Try the thrift shop for toys, games, and puzzles. Your guests forgot that they were invited to dinner at your uncle’s house, and they need a hostess present. Your guests have so many souvenirs they need another suitcase. Or a backpack. Or even a big purse. We have them all! When you bring your guests to the thrift shop, it’s also a way to remember that the holiday season – no matter which holidays you celebrate – is about more than shopping. All the money we earn in the shop goes to help families in need right here in Irvine. What better way for your guests to forge a connection with Irvine than by giving back to our community by supporting our shop? Nothing opens the world to a child like books and the love of reading. Studies have shown that having books in the home plays an enormous part in school success. At Assistance League of Irvine, we’re all about making sure kids have a level playing field for success in school – and that includes books of their own. We give each Operation School Bell student an age-appropriate book of their choice, plus a dictionary for each family. And where do these books come from? From YOU, our generous donors and thrift shop patrons! Each year we hold an annual Book Drive to collect new and gently-used books for these students. The Irvine year-round schools start up in August, so our Book Drive is starting RIGHT NOW! We supported over 800 students last year through Operation School Bell – so as you can see, we need LOTS of books! We’re particularly looking for books on the middle school or high school required reading lists. You can drop off your book drive donations at the thrift shop during any time than we are open. 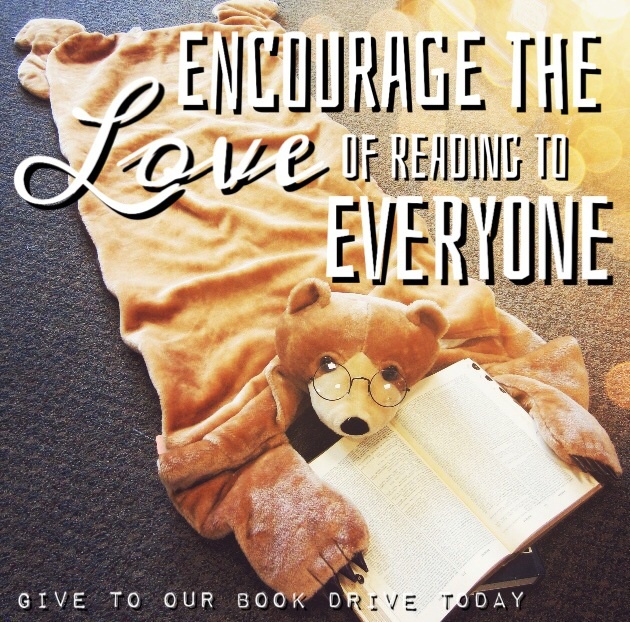 Help us encourage the love of reading in this new generation through our book drive. And many, many thanks to ALL OF YOU who make it happen! You’ve probably seen ads for a local matchmaking service called “It’s Just Lunch.” Prospective matches meet for lunch at a local restaurant and hopefully, get to know each other enough to see if they’d like to go on another date. It’s informal, convenient, inexpensive, and doesn’t take up the whole day – it’s just lunch! ALI would like to be matched up with some new people, too! We KNOW there are many of you out there who would love to get to know us better and perhaps join our chapter. To keep things even simpler than a lunch date, we’re sponsoring “COFFEE AND A TOUR” on Saturday, March 7. JOIN US AT 10 AM at our Community Outreach Center/Thrift Shop, 2452 Alton Parkway in Irvine (between Von Karman and Jamboree) for coffee and a presentation about our philanthropic activities. 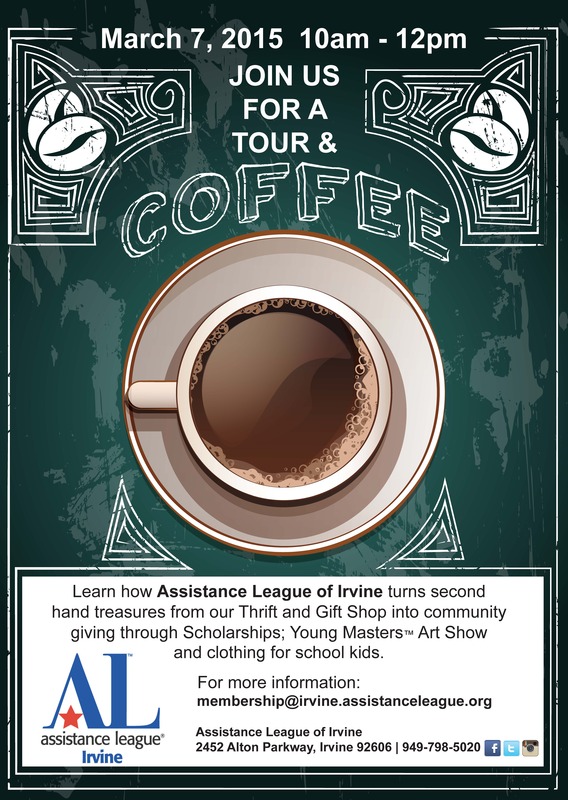 Learn how Assistance League of Irvine turns second-hand treasures from our Thrift & Gift Shop into community giving, through scholarships, clothing and school supplies for Irvine students, and much, much more. You’ll have a chance to meet some of our members, enjoy a delicious cup of coffee, take a tour of our Thrift Shop, and even do some shopping! For more information, RSVP by March 1 to: 949-798-5020, or email: membership@irvine.assistanceleague.org. We’ll see you then – and bring a friend! You belong to a Bunco group where everyone has to bring a token door prize to award during the evening. Your 8th grade daughter wants to have a sleepover birthday party, and you need party favors. 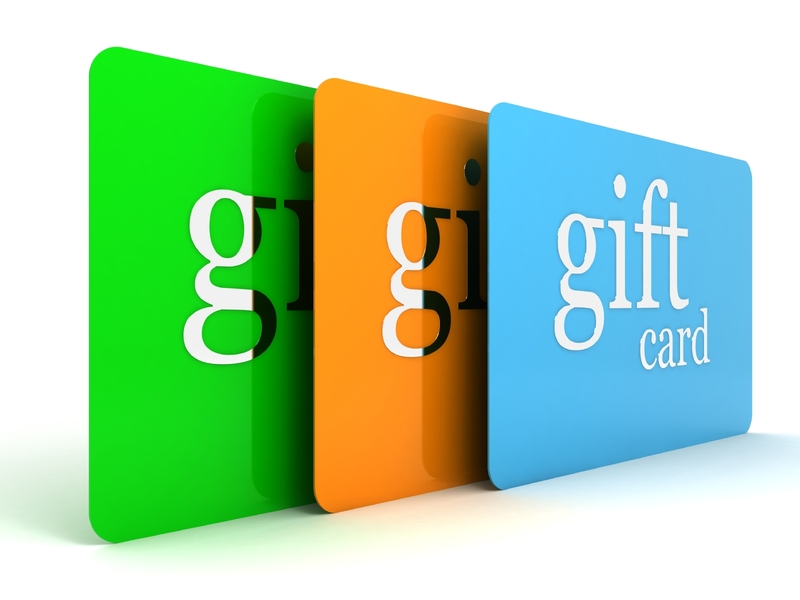 You’re the church youth group advisor/band mother/drill team chaperone or some other type of adult volunteer for a high-school group, and need a unisex-type gift or prize for the kids, that isn’t food.